With the increasing need for individualized care and given the growing resident population and workload, automatic activity monitoring must be in place. With new smart sensor solutions and software, the TeleCARE IP system can assure unobtrusive monitoring and activity alerts that expedite needed assistance and aid in preventing potentially harmful events. The elderly care market is under pressure. 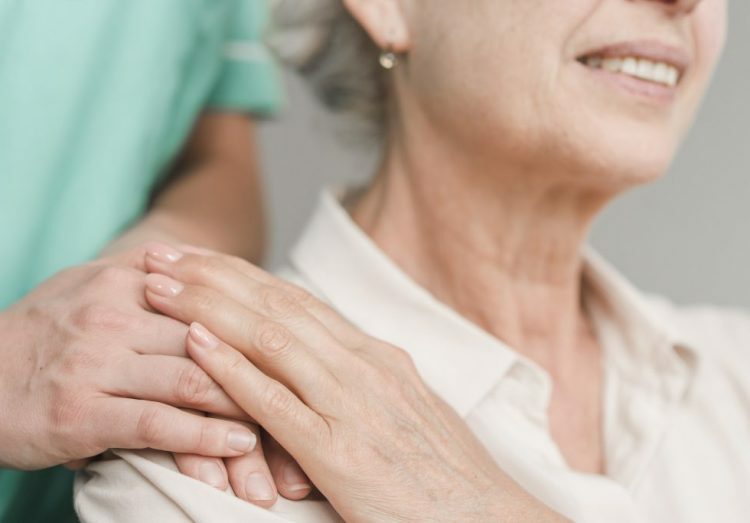 Residents are living longer and requiring more care, while facilities’ operating budgets are tight, putting pressure on limited staff resources. That’s why, when it comes to resident safety, having individuals press a button for assistance is just not enough anymore. There is an increasing need for individualized care and, to handle this demand given the growing resident population and workload, automatic activity monitoring must be in place. With new smart sensor solutions and software, the teleCARE IP system can assure unobtrusive monitoring and activity alerts that expedite needed assistance and aid in preventing potentially harmful events. In the morning, Robert automatically “checks in” by activating a motion sensor, preserving his dignity and supporting his independence. 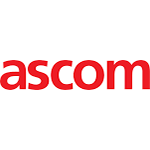 individuals in with a visit or call from her Ascom mobile device. Robert is outside when he feels lightheaded. He presses a button on his Ascom wristband to call for help. Thanks to Ascom’s wireless coverage, caregiver Tina receives that alert and organizes a response. Robert wears the wristband 24 hours a day. Should he take the wristband off, the built-in sensor alerts his caregiver, so she can take appropriate action. requests wherever the resident may be, while keeping track of individuals in a way that is minimally intrusive. 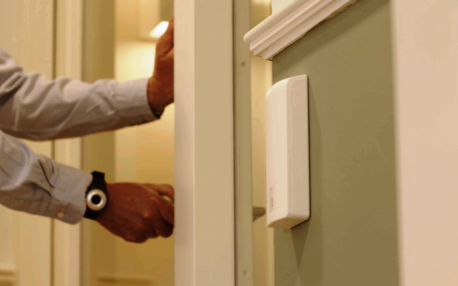 Ascom now provides a scalable and discreet system to ensure the safety of active seniors while they enjoy a high quality of life. Tina knows her residents well, so she always waits until Robert has left his bed before entering his room to guide him to breakfast. She can do this thanks to a bed sensor, which brings an alert to her Ascom Myco to inform her Robert is up. Robert’s neighbor, Mary, suffers from dementia and needs direct assistance when she enters the bathroom, as she is a high fall risk. The configurable teleCARE IP system informs Tina at just the right time. To keep Mary safe, Tina has programmed the Ascom system to lock normally unlocked doors if Mary is in their vicinity. inform a colleague about the event, assuring a call is never lost.